For so many writing was something you were forced to do in school. The dreaded English class in high school, or the freshman composition class in college that was required for all majors, the letters home from camp; so many ways we were told to write that did not really give us the freedom to share what was on our hearts. My father wrote. He wrote me letters when I was starting my family in Texas. One Christmas I gave him a kit of stationary and I called it “LTT”. That stood for “Letters To Texas.” All I asked him to do was to write me letters. So I have a file of letters from him during those early years of me becoming a mother and growing these babies up in the state of Texas while he was in Alabama. He also wrote a toast for my rehearsal dinner. Just recently my step-mother found the written version of that toast. This is where the act of writing becomes part of your family fabric. There is nothing more precious than seeing these words on paper that came from my father who is no longer with us. These words can remind me of that special night in Palo Alto at the Italian restaurant when all of my closest friends and family gathered to celebrate that I was going to marry my sweetheart, Bob. My father’s handwritten toast is now history. Written history of a glorious moment in my life. My father and I did not have the perfect relationship. We had some chapters that are not really worth sharing. But, that night he spoke with love and great support. Now, 28 years later, I can read those words and feel his love. My children can see the words that their grandfather spoke that are filled with love and kindness about their father. It is a true full circle moment. All of this because my father wrote. So maybe that is why I started to write. It was something that I had watched and felt the beauty of what might not appear in a face-to-face encounter can sometimes be shared and felt on paper. Today I want to just share with you the part of your life that rests in your heart…pick up a pencil and grab some paper…just put words on paper. They will bring you to another state of living. Gratitude, appreciation, happiness. Open your laptop and just start with “Today I….” Writing can help you understand what matters in your life. 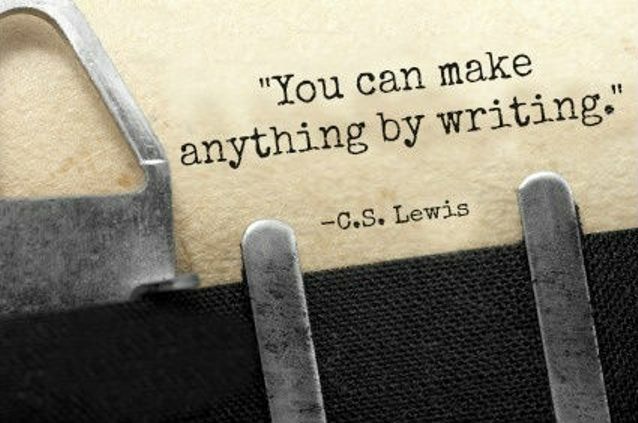 Writing can help you find the tiny voice that never speaks up but is always inside of you. Writing can bring you a wonderful understanding that your brain is not always able to process. These are some of the amazing books that can help you have the courage to just DO IT! Write something today…maybe it will be found in 28 years by a relative of yours that can’t remember you. Maybe those words on paper will bring comfort to a child that has forgotten a special moment in life. I promise this is all possible. Fantastic post.Thanks For share this post with us. square measure the most effective selection. cheap and classy bracelets if carried well will signify heaps. to feature associate degree handwriting jewelry aura of richness you'll be able to additionally select some.